Raising children is a little different for each generation. The trials I faced growing up are different from the the trials my children now face. The world is moving at a faster pace each and every day and it’s mind-boggling. It is amazing the tools we have been given and how fast technology has grown. While we have been given an immense amount of tools to do good in this world, those same tools can be used against us and our children! With the same effort that it takes my child to swipe their finger on a screen to play an educational app or read their scriptures, the filth of the world can also be accessed by just about anyone anywhere. Sometimes it feels like no matter how hard I try to make my home a little more like heaven, Satan is doing his best to sneak in a little hell around every turn! It comes through the radio, through tv, through the internet, and can even come through friends outside the home. How do we keep up the fight? How do we arm our children with light so that they are equipped to fight the darkness that seems to lurk around every corner? How do we help them understand the importance of not giving in when the world offers what seems to be an ‘easier’ road? While it’s tempting to feel like I should shut the world completely out and shelter my kids from everything, I feel that, with the right tools, my kids can grow up to one day make a difference in this world. I would never hand my kids a flashlight in a dark room and then ask them to cover it up so it won’t shine! 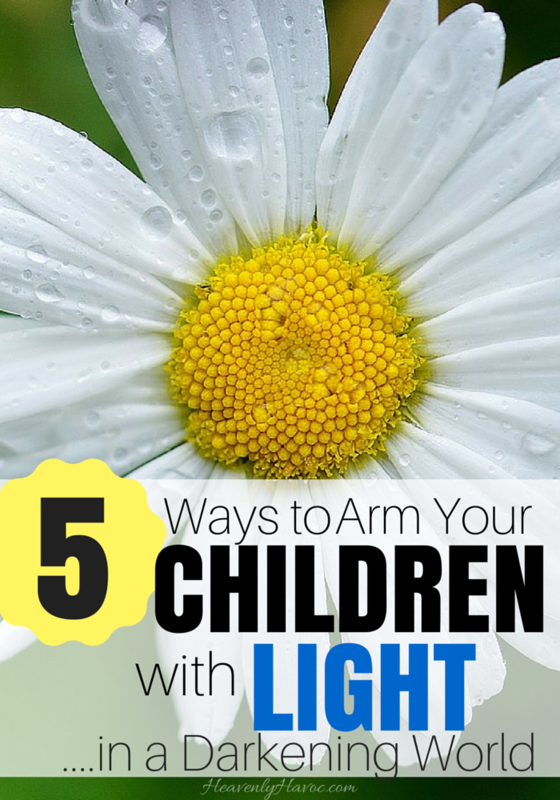 Let’s arm our children with LIGHT and then teach them to let that light SHINE in this world! 1. Teach them who they are! Much power comes from knowing who we really are. We are not just human bodies that merely exist. We are children of GOD! Because he is our Father, he can also help us to rise up and do great things. 2. Teach them to love themselves! Children are much more likely to stand up to peer pressure and pave their own way in life if they know who they are and LOVE themselves. Kids can be mean and friends can put a lot of pressure on each other to do things they know are wrong. If a child is constantly trying to ‘please and impress’ they will be more likely to follow the crowd. However, if they love themselves, they will be more likely to stand for what’s right regardless of peer pressure. 4. Arm them with Light and Truth! Teach them the values that help them to be better. Even if you are not religious, you can still instill in your children strong values like honesty, integrity, hard work, and kindness. With all the technology we have, there are endless resources for teaching our children. Make good use of screen time and read great books that TEACH rather than just entertain. We recently had a family night where we talked about our tv and what kind of shows we should be watching. Things had gotten a little out of control. We set some new goals which I shared in my post here. Lately, my oldest has been great at reminding ME to turn off the radio when an inappropriate song is on and replace it with something uplifting. 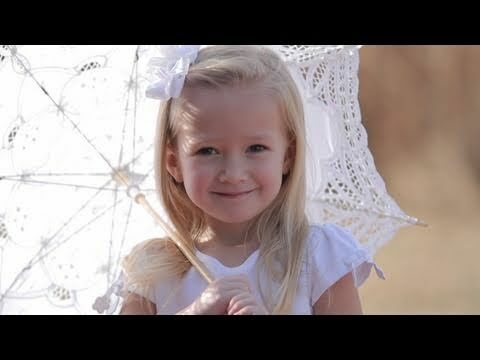 I am amazed by her inner strength and how much she inspires me, her mom, to be a better person. The youth of today astound me! 5. Surround them with a Safety Net! Make your home a place where your children feel safe so that no matter what they have to face out there in the world, they know they have a safe place to come home to. Your family is their team and you are the cheerleader! I like to think of my home as ground central and our fortress against the darkness. The words I speak and the way we treat each other either add strength or weaken that fortress. It is a constant battle everyday. I hope and pray we are victorious in the end! Here is a great idea for teaching your children to hold their light up high during your next Family Night! Show your children a flashlight. Turn the lights out and let them take turns shining the light everywhere. Ask them what would happen if you took the batteries out of the flashlight or covered it up with a blanket. Tell them that the flashlight represents them and the example they can set to the rest of the world. When they try to hide their light, what happens? The Savior is our light to follow in the darkness. They can also be a light to others who are struggling to find their way! Click on the pic below to print out this fun puzzle and coloring page for your kids! For dessert, try these easy Orange Creamsicle Floats from Somewhat Simple with a special 3rd ingredient!